meretricious souvenirs for the tourist trade. The local shopkeepers sell souvenirs to the tourists. When we top out, there will be souvenirs for everyone who has worked on the site. 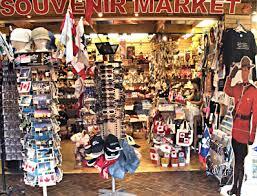 You are sure to see a souvenir that you want to take home, such as a comfortable muumuu, some macadamia nuts or a grass skirt. Photo 8. CIFA President, Mr. Luo present a Souvenir, calligraph by Mr. Luo to our Chairman, Mr. Victor Mok.